A family member from the home had gone to a neighbor’s house and and stated that his son was very angry, upset and was armed. Responding officers, including Officer Vega and Officer Zerebny, arrived at the scene several minutes later. 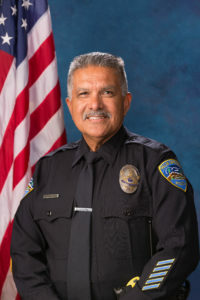 While negotiating with the suspect, who was inside the home, he suddenly opened fire on them, killing both Officer Gil Vega and Officer Zerebny and wounding a third officer. The man then barricaded himself inside the home for approximately 12 hours. He was taken into custody by members of the Riverside County Sheriff’s Department SWAT team. The subject was an admitted gang member.